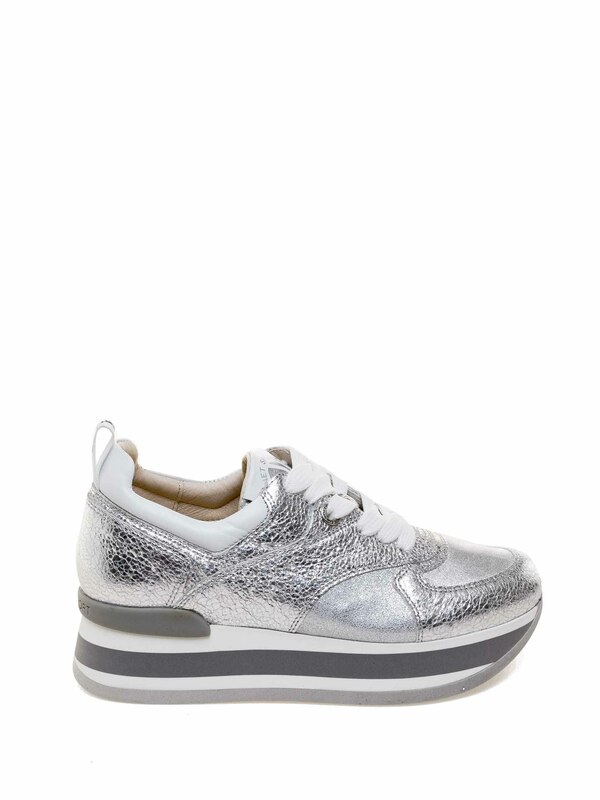 Bright metallic silver leather for these rubber sole platform sneakers. 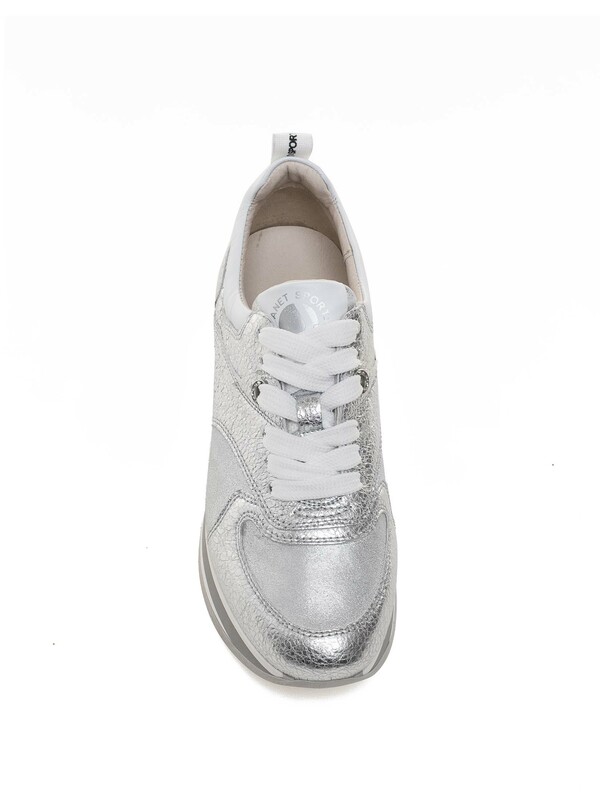 Trainers go glam! Wear them with leggings and an oversized colourful sweater with a writing on it!